Additional numbers show that more American teens are opening to buying Proactiv when next in the market for skin-care products, too. On January 6, 17% said they'd consider purchasing Proactiv. A week later, on January 13, 21% reported the same. 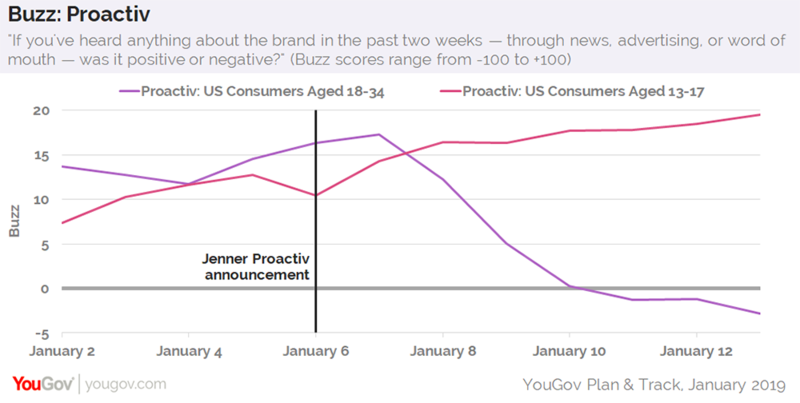 Interestingly, an openness to buying Proactiv has also increased among US millennials aged 18-34 throughout the same time period, moving from 8% to 11%.